When is the right time to turn professional as a boxer, leave the unpaid ranks behind and embark on a paid career? 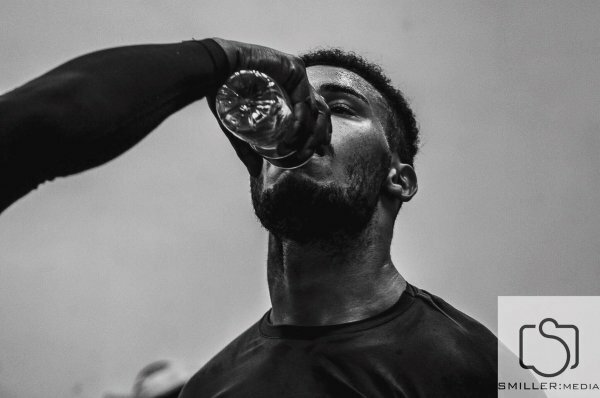 Many fighters choose to do it into their 20's, build up their skills and learn how to adapt out of the spotlight of the professional sport while also developing the 'man strength' required to ensure that you can hold your own when you take that dip into the pro game. For Morecambe's Isaac Lowe though, he made that step earlier than most and the risk is paying dividends already. "I turned pro from the age of 18, three years ago. It's awful young to turn pro and I'm still a baby at this game, still developing my strength and have so much to learn. Where I am now is still quite a good achievement" the 21 year old tells me. He's understating his career to date somewhat. An English featherweight title already around his waist and having appeared on several high profile Sky shows he is moving quickly in the right direction. As he tells me though, although he became a professional so young he still amassed a long and impressive amateur career. "I started boxing when I was about eight years old. I went for a bit of fun and as a kid I was into all different sports. I had my first amateur bout around ten and did alright at the amateurs. I had about 56 or 57. I always had a pro style, I was a come forward fighter and I knew the longer rounds would suit me. I was getting to national finals and being robbed a lot and I knew it would suit me more being a pro so I thought I might as well turn over and see how far I could go. Touch wood, up until now I couldn't have asked for it going any better! Current English champion, fighting for the Commonwealth title soon and eleven wins with the one draw, I'm doing alright up to now so let's hope the run continues!" The English title was picked up back in September 2015 as he halted Jamie Speight in Leeds. "I was 21, never in my wildest dreams did I think I could win the title by that age! The English title to me was a very big achievement so to go there at 21 and beat a very tough and durable Jamie Speight, who is a tough guy who rarely gets stopped, then to stop him in the later rounds was a great experience" says Lowe. Winning the English title so young, what did it mean for the Morecambe boxer? "That's when a lot of people started to look at me and say I have a chance of doing something. I knew I always had skills and was a good quality fighter, but the way I boxed that night I knew it was my chance to make some money out of this game and win some titles"
The draw on his record was in his last fight, the first defending his English title against Ryan Doyle. The fight was a trademark Lowe bout, heavy handed exchanges all over the ring and a chance to show off his toughness as well as his well schooled skills. As much as the result may not have gone as he wanted, Lowe doesn't reflect on the fight in a negative way. "It was disappointing in one way with it being a draw, but it was a perfect learning experience for me" says Lowe. "I'm not just saying it, I genuinely thought I won the fight by two to three rounds and a lot of the boxing public said the same thing. Don't get me wrong, no disrespect to Ryan Doyle because if it wasn't for Martin Murray fighting for the world title that night we could have had the fight of the year. We stood toe to toe for ten rounds and those 9,000 in the arena were up on their feet clapping for it, it was absolute war. That draw taught me a lot of things. I got caught with a lot of shots that I took, I got involved in a fight for ten rounds and learnt to trust my stamina. I realised you don't have to stand toe to toe and have a war while being a tough guy, you can use your boxing skills. I took a lot from that fight. It put me in good stead for my Commonwealth title fight." The Commonwealth title fight that Lowe refers to is on February 27th as he takes on Marco McCullough (14-2-0) on the undercard of one of the biggest boxing events that will happen in 2016, Scott Quigg versus Carl Frampton in the battle of two undefeated world super bantamweight champions. McCullough is a hot prospect, but has suffered some unexpected troughs in his career to date. So how much is Lowe reading into his opponent's record? "He was knocked out by a journeyman, but I don't know much about him. I've seen a couple of his fights but they've been against journeymen too and anyone can look good against them" says Lowe, seemingly not too worried by what he has seen. "It can make you look better than what you are. I know he's a good quality kid, powerful. The Irish think he's one to look out for but then again I think I'm one to watch and I know I have the tools to beat him on the night. It's all about game plans, he's going to have his Irish fans there and come to try and take my head off and I'll go in there to try take his head off! Styles make fights and at some point no doubt we still stand toe to toe and have a punch up, I'm looking forward to it!" With the February 27th card being a Sky pay per view event and being broadcast out in America it present a huge opportunity for Lowe to launch himself to an even wider audience. So how much of an honour is it for the young fighter? "To be 22 years old and fighting for a Commonwealth title on one of the biggest shows this year on Sky PPV speaks for itself. Of course it's a privilege to be fighting at the MEN Arena in front of 22,000 people, I've dreamed about that since being a little boy when I went there to watch Ricky Hatton fight there. The place was always sold out so to think I will be walking out there in front of them at near peak time on Sky Pay Per View and on HBO - well it's a dream come true. I never thought at 22 years old I would be at this stage." He admits that his progress has taken even himself by surprise, confessing that he feels he is "12 to 15 months" ahead of himself. "I'm still growing into the weight and developing my strength, but it's an opportunity I had to grab with both hands and on the night I get a chance to show everyone what I'm capable of. People will start watching me a lot more" Lowe says. "I've achieved an awful lot already but as I say, I'm ahead of myself. It's luck of the draw though and I have the right team around me; I genuinely think I can go all the way. Boxing is all about taking fights at the right time and doing things at the right stage so if I make sure I get those fights I am sure I can. I've got the skills, heart and determination. I'm a good boxer and a good fighter, I can go all the way but it's about timing it right." The timing of the rise of Isaac Lowe is also well times. The featherweight division within the UK is buzzing with Lee Selby the current IBF world champion and a host of names making an impact underneath, there is an opportunity domestically over the next few years to make not just fights but rivalries. "Featherweight boxing is huge at the moment. Josh Warrington, Lee Selby obviously at the top now. Ryan Walsh is on fire at the minute and he boxed well last time out. Mitchell Smith is supposedly dropping down to featherweight but I don't know if he can make it" says Lowe. "There's loads of good British fighters out there, you can make a list of quality names but it's all about picking the right one at the right time. Boxing is a business, you need to make sure you're paid well, it suits you and the fight is right. We can make great fights down the line with each other." With Steve Wood as both his promoter and Manager, Lowe has been able to appear on a number of Matchroom shows of late, his last three fights taking place on the Sky platform. 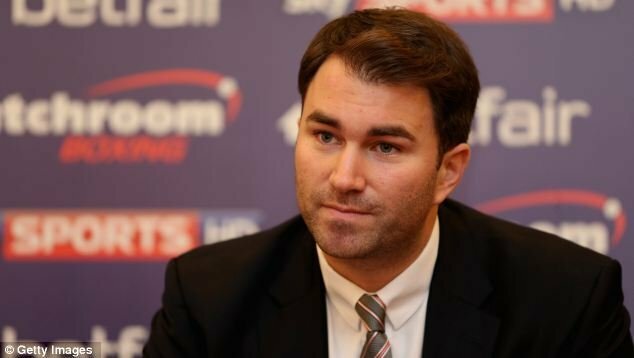 "I'm on there again so Eddie Hearn must have seen something he likes in me to keep putting me on, so a big thanks to Eddie. I am what I am; a fan pleaser who looks to entertain the fans when I fight. It is a joy when they put me on because the fans and the TV viewers get good value for money." It is undoubtedly true, Lowe carries a style that is pleasing to both purists as well as those who want to see an old fashioned punch up. 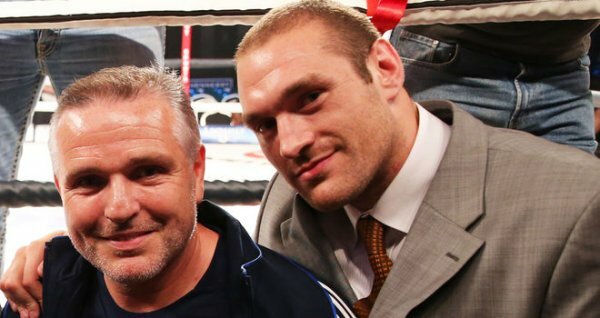 But coming from Morecambe, a place not renowned as a boxing hot bed but now being the home of world heavyweight champion Tyson Fury as well as Lowe, has it been hard to find the opportunities to fine tune his skills in the gym? "It's not a boxing city, it's a seaside town. I class Lancaster and Morecambe says one! It's now home to the heavyweight champion of the world and an English champion! I actually train in Doncaster, have my sparring and camp down there. I like to be based away. I spar the likes of Josh Warrington, Gary Sykes, Maxi Hughes, the McDonnell brothers. 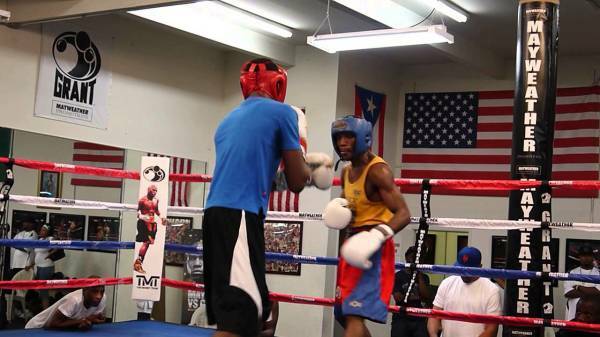 It's all quality sparring around that area and around my weight so it works out well for me." Lowe will have the opportunity on February 27th to add to his growing trophy cabinet on the biggest boxing platform available. Still a relative baby in boxing terms it would be hugely impressive to be crowned both English and Commonwealth champion at only 21 years old. With so many other opportunities available to him, he is right in saying that timing is as important to him outside of the ring as it is inside. The achievements may be racking up already, but you suspect this is just the start of the journey for Isaac Lowe.